The dress fit me perfectly; I'm around 5 foot and relatively petite, with a size 10C cup. The dress has been professionally drycleaned and is in fantastic condition after only having been worn once. 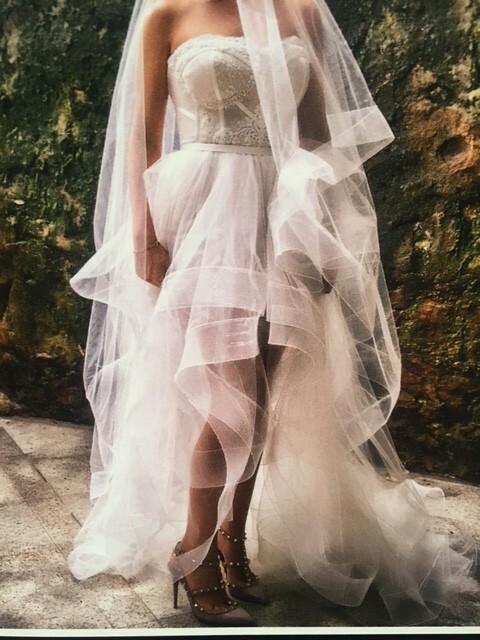 It comes with a floor length veil.